Plastic nesting Tubs, QuanTub nesting tote, Food service plastic tub, Riverside Paper Co.
Light weight economical tubs can hold up to 100 lbs. When nesting empty, rib top helps prevent jamming. 1/4" drill hole pattern on the bottom allows you to make holes for air flow and drainage if necessary. Made from approved USDA/FDA materials. 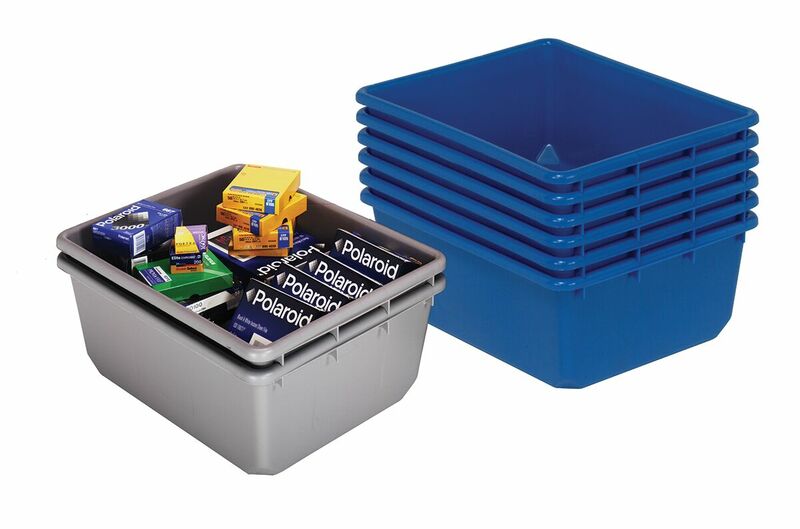 6 tubs per case, available in Gray or Blue. MUST ORDER IN MULTIPLES OF 6, PRICE PER TUB. 24.5X19X9.5" BLUE plastic nesting tub. 24.5 x 19 x 9.5"
24.5X19X9.5" GRAY plastic nesting tub.